Old Marylebone Town Hall Register Wedding Photographer London. Rob and Eva truly are a spontaneous couple!!! I received a call from Eva the day before they were getting married. She was looking for a wedding photographer for 1 hour at the Old Marylebone Town Hall. As I specialise in Registry Office and shorter coverage weddings this was no problem for me at all. I love the Old Marylebone Town Hall too. Eva booked me then and there on the phone. I have only known Rob and Eve for a short amount of time but during that time I could tell that were very much in love with each other. They had arranged for two complete strangers to be their witnesses and there were no other guests. This was a first for me but I loved the whole vibe and the intimacy of the occasion. The other amazing thing was that after the ceremony they were being collected by a Chauffeur driven Bentley to whisk them off to the airport to go straight on their honeymoon!!! How cool and spontaneous is that!!! I would like to wish Rob and Eva all the love and happiness in the world!!! Long may the spontaneity continue! If you like what you see and would like to hire me, please contact me to discuss your requirements. You can fill out the form on the contact me page and I will get back to you as soon as possible! Alternatively you can call me on 0203 0020 945 or 07977 20 40 44. 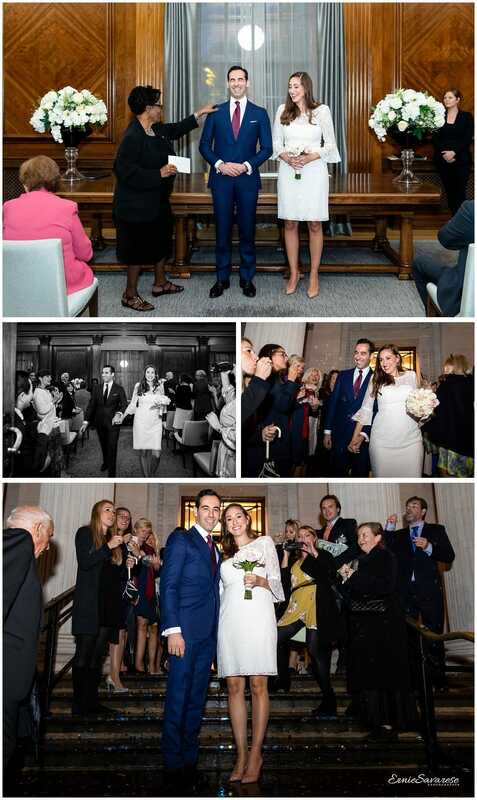 I am a London Wedding Photographer and I would like to thank you for taking the time to read my blog for Old Marylebone Town Hall Register Wedding Photographer London and I really hope you like the images. 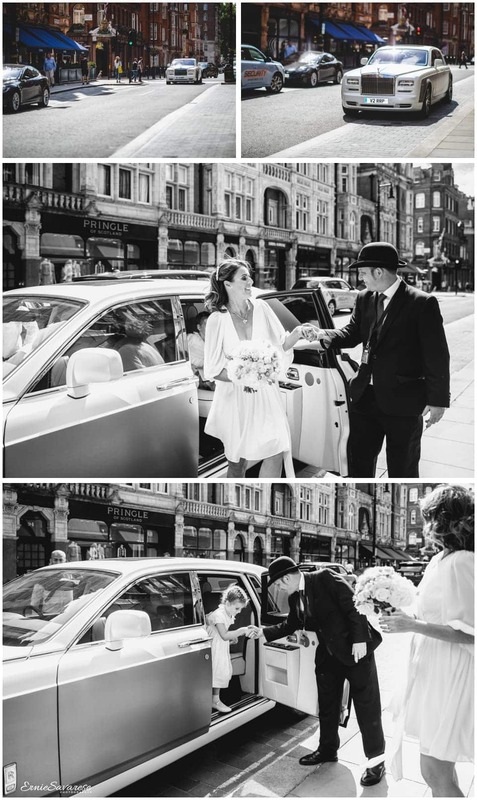 Wedding Photography Old Marylebone Town Hall London. I love photographing Weddings at the Old Marylebone Town Hall… there are so many unique features… The Westminster room is just amazing… It can accommodate so many guests. David and Jill booked me for an evening ceremony… I really enjoyed photographing David and Jill’s wedding as their guest were very happy and outgoing which always makes for great photos. Everybody was elegantly dressed and ready for the wedding breakfast. When the wedding ceremony started Jill was extremely nervous – however a few minutes into the ceremony she really started to relax and you could tell that she was actually enjoying it. When the ceremony ended – everybody headed outside to the main steps for the bubble exit. David and Jill had one final surprise for their guests and it was a Champagne reception on a Vintage London Bus. Everyone had a quick glass of bubbly before heading off to enjoy the rest of the night!!! I wish David and Jill all the best for the future. If you like what you see and would like to hire me, please contact me to discuss your requirements. You can fill out the form on the contact me page and I will get back to you as soon as possible! Alternatively you can call me on 0203 0020 945 or 07977 20 40 44. 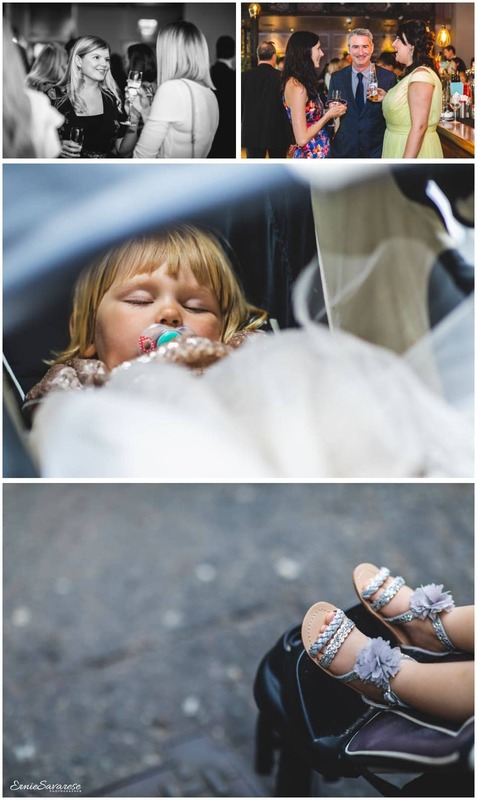 I am a London Wedding Photographer and I would like to thank you for taking the time to read my blog for Wedding Photography Old Marylebone Town Hall London and I really hope you like the images. 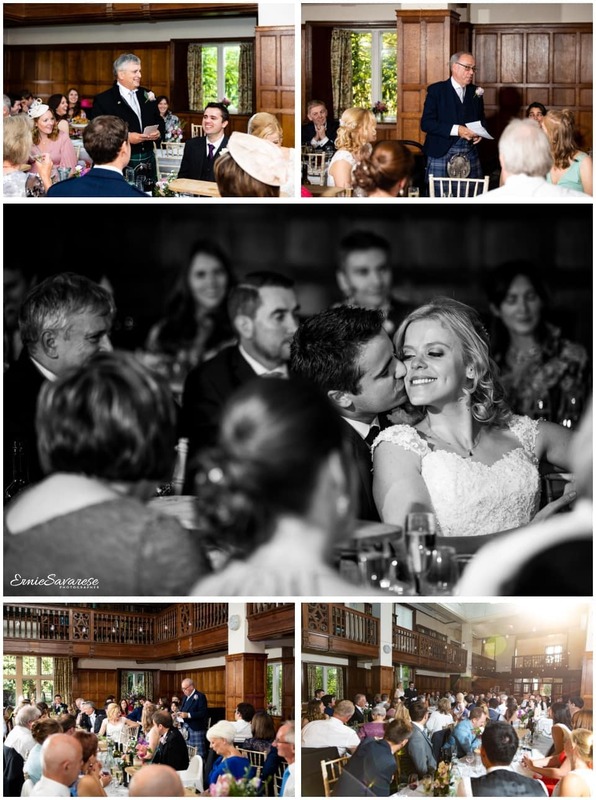 Leez Priory Wedding Photographer Chelmsford Essex. I first met James by chance earlier in the year… James runs a very busy mobile valet and BMW styling company. It also turns out that he was looking for a wedding photographer!!! His partner Deborah is also a car enthusiast…this was a match made in heaven!!! When I arrived at Leez Priory I was greeted with a beautiful sight… 2 stunning BMW’s parked right outside the mansion. I knew it was going to be a cracking day – James and Deborah put a lot of time and effort into their cars - so I got to work on the BMW’s just like a mini car photoshoot!!! James and Deborah have an amazing group of friends as well as family members… I can honestly say they welcomed me like one of the guests... they were great fun to be around and they really knew how to have a good time. 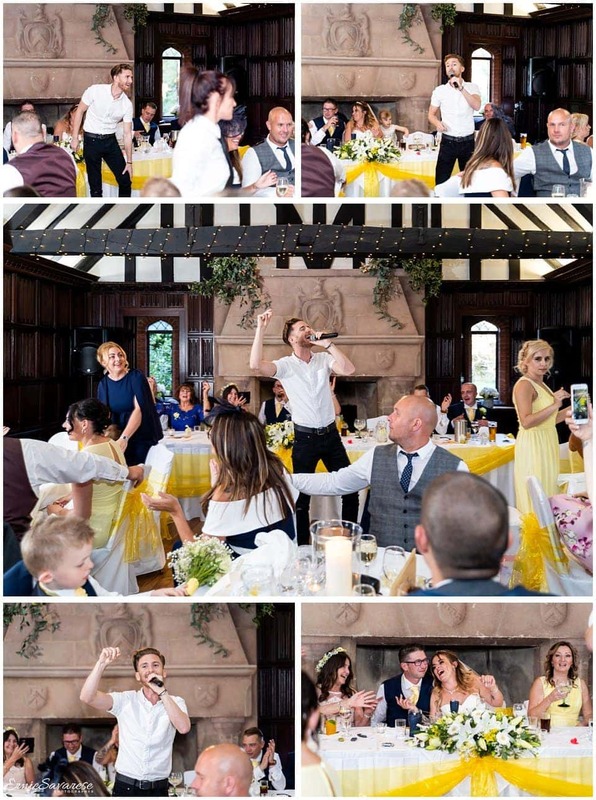 There were so many great moments from their day… but the surprise singing waiter was such a great entertainer. He was awesome and the best I have seen!!! Thank you to James and Deborah for asking me to photograph your wedding. I loved every minute of it!! If you like what you see and would like to hire me, please contact me to discuss your requirements. You can fill out the form on the contact me page and I will get back to you as soon as possible! Alternatively you can call me on 0203 0020 945 or 07977 20 40 44. 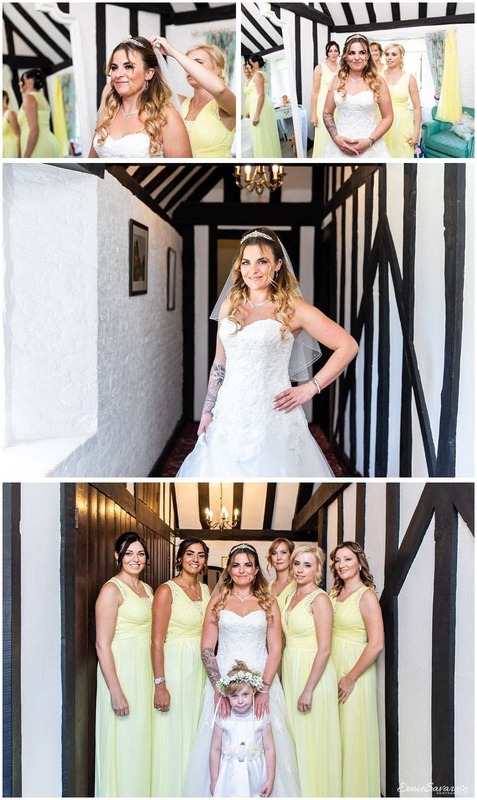 I am a London Wedding Photographer and I would like to thank you for taking the time to read my blog for Leez Priory Wedding Photographer Chelmsford Essex and I really hope you like the images. Charlton House Greenwich Wedding Photography London. 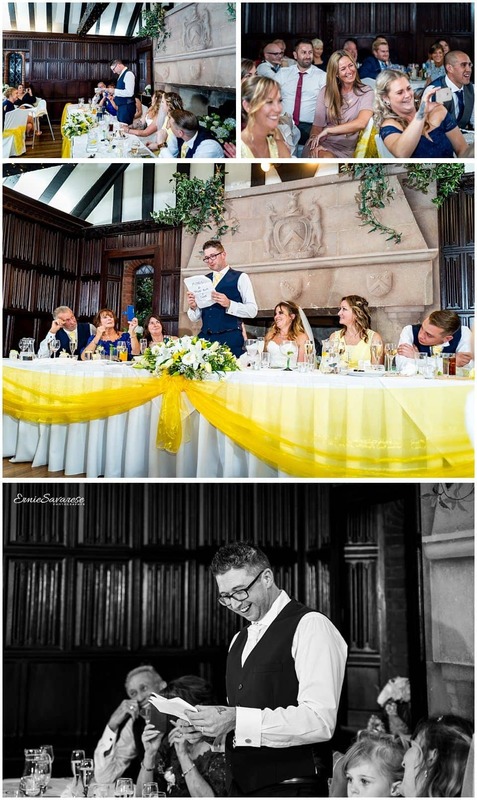 When I first met Katie & Steven I knew that their wedding was going to be special. I was not wrong… It was fantastic!!! Let’s start with the night before the wedding… unbeknown to me, the wedding was almost called off… Steven had a very unfortunate accident and spent the night in A&E having stitches very very close to his eye. When I arrived at the Hotel DoubleTree Hilton in Greenwich, Steven was in full Scottish attire – along with all his friends and family. They were enjoying a few drinks in the bar. Katie on the other hand was getting ready upstairs in the bridal suite and she was cool, calm and collected!! 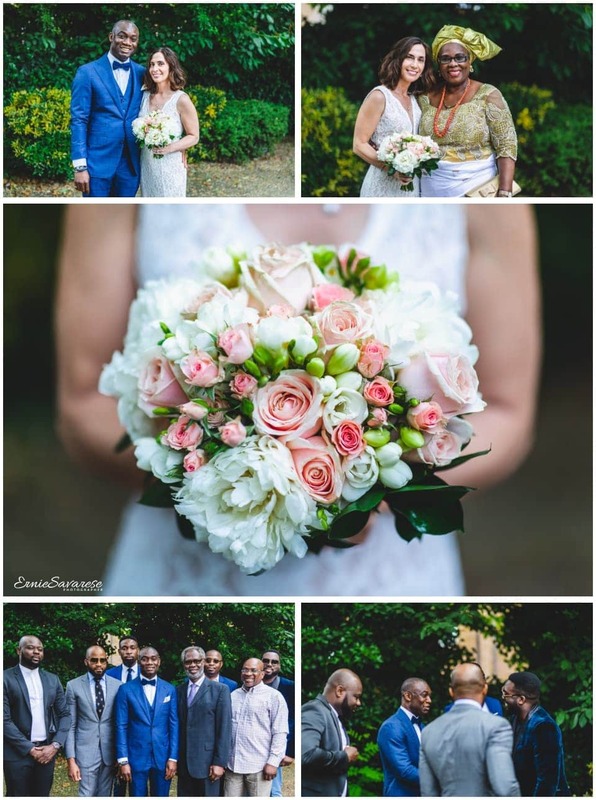 Their wedding and ceremony was being held at the beautiful Charlton House in Greenwich. 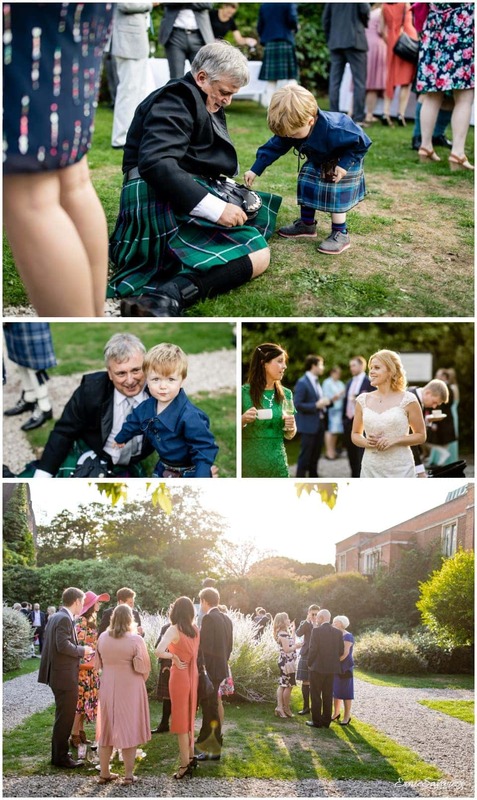 The weather was so good that the reception drinks were held in the walled garden which has a stunning backdrop. 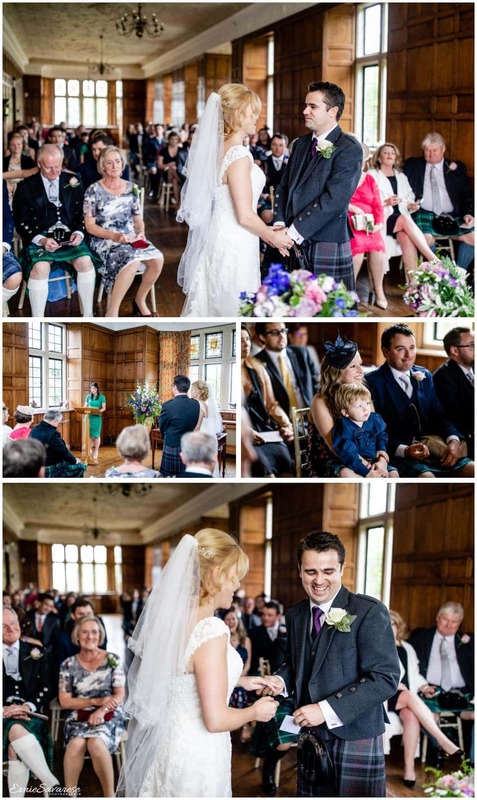 After the meal – The bride and groom had arranged some traditional Scottish Ceilidh dancing which all the guests absolutely loved.. I had so much fun photographing it. If you like what you see and would like to hire me, please contact me to discuss your requirements. You can fill out the form on the contact me page and I will get back to you as soon as possible! Alternatively you can call me on 0203 0020 945 or 07977 20 40 44. 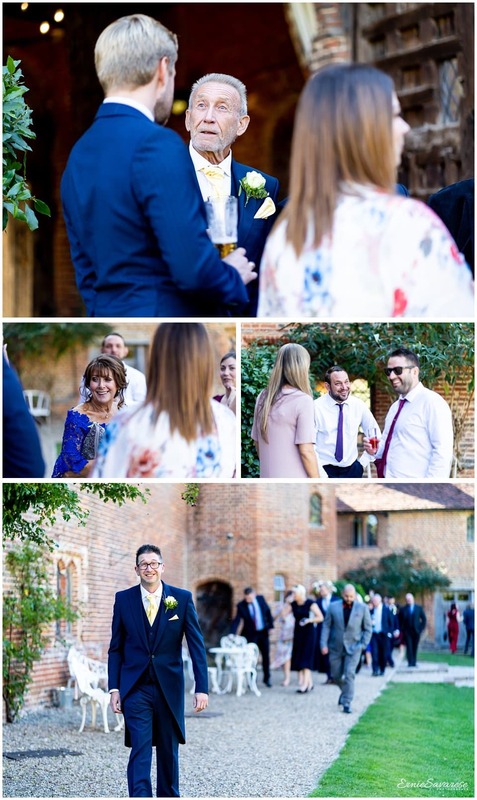 I am a London Wedding Photographer and I would like to thank you for taking the time to read my blog for Charlton House Greenwich Wedding Photography London and I really hope you like the images. Tower Hamlets Registry Office Wedding Photography London. When I first spoke to Jimmy on the phone we got on like a house on fire!!! Shortly after booking me he contacted me again to ask if I could take some surprise pictures for Carol... he wanted me to take pictures of her dress, rings and shoes which I thought was very thoughtful of him... he was a complete gentleman and did not once take a peek of her dress.... honest!!! 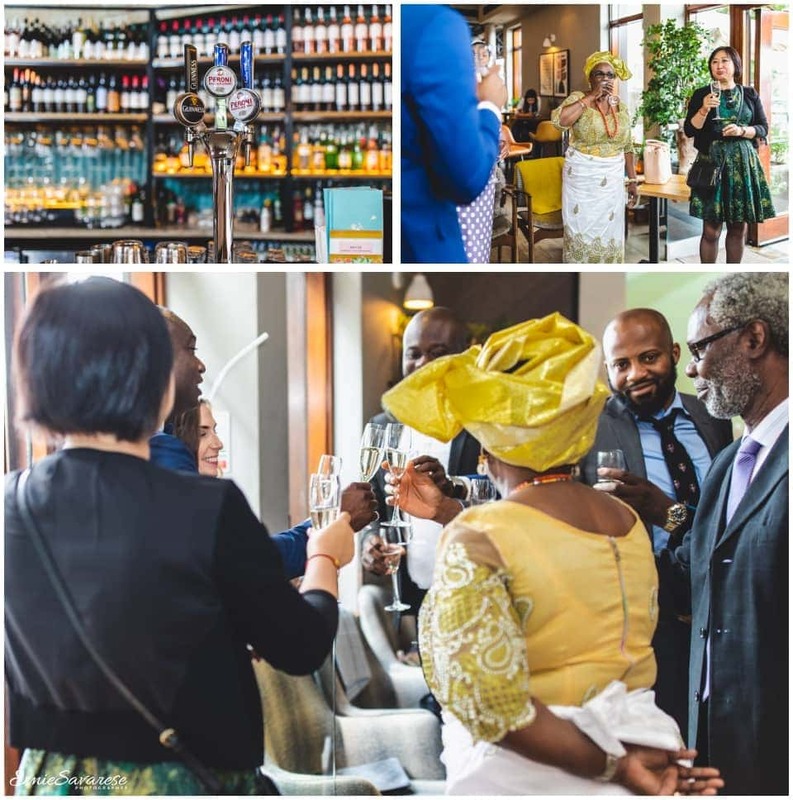 Jimmy and Carol were getting married in Tower Hamlets Registry Office then on moving on to The Pagination in Canary Wharf for their reception. During their wedding day they were surrounded by their closest family and friends and you could see how much it meant to them. Once the ceremony was over, we all headed towards Canary Wharf to a lovely bar called The Pagination. This was where the couple relaxed and enjoyed the food, drink and company late into the night. I'd like to thank Jimmy and Carol for booking me and I sincerely hope that our paths cross again soon. If you like what you see and would like to hire me, please contact me to discuss your requirements. You can fill out the form on the contact me page and I will get back to you as soon as possible! Alternatively you can call me on 0203 0020 945 or 07977 20 40 44. 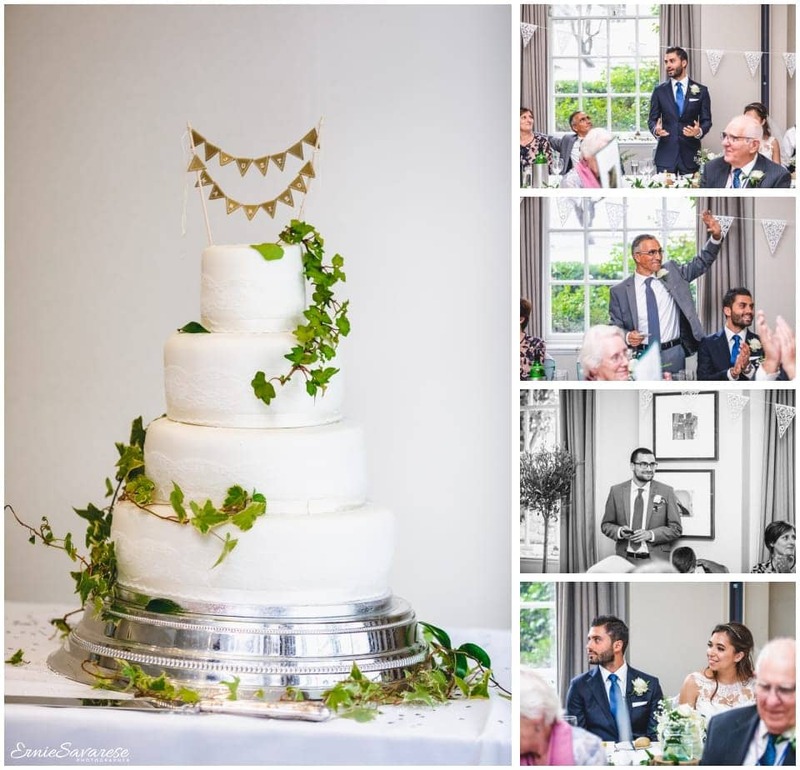 I am a London Wedding Photographer and I would like to thank you for taking the time to read my blog for Tower Hamlets Registry Office Wedding Photography London and I really hope you like the images. St Peter's Italian Church Wedding Photographer London. 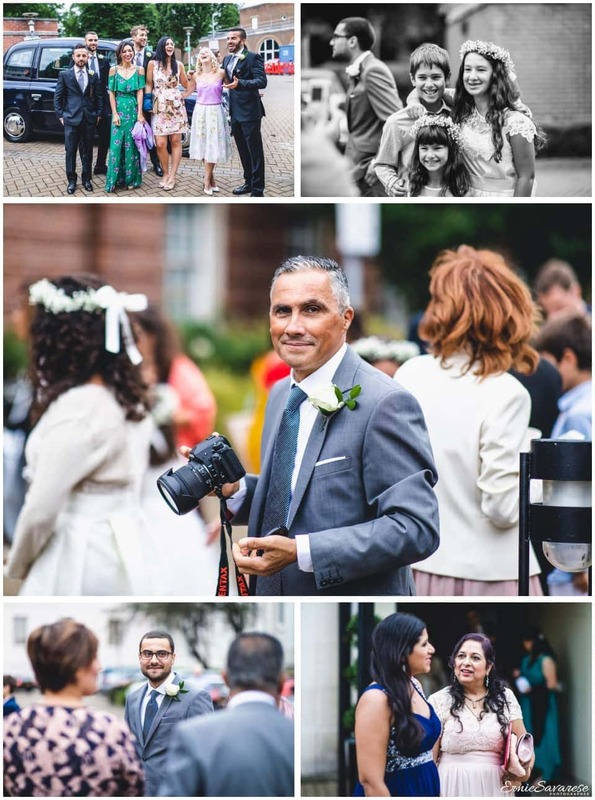 Photographing Antonio and Natalie's wedding was a very special wedding for me personally and a real privilege. The main reason was that Natalie and Antonio were getting married in St Peters Italian Church in Holborn - this was that Church that I was married in. Inside it is an absolutely stunning church however from the outside you probably would not give it a second glance. I met Natalie whilst I was attending a wedding fayre last year. When I found out that she was getting married at St Peters and and her Fiancee was Italian... let's just say that I "HAD" to photograph their wedding... especially seeing as there was going to lots of guests that were travelling from Italy. I knew that we were a perfect fit. The bridal preparations started early at Devonport House, an absolutely amazing venue in Greenwich. After the bridal preparations, we were transported to St Peters Italian Church in Holborn in 2 Old Routemaster buses which was great fun. It was very nostalgic feeling being back at the church I was married in . The Priest was an absolute star and he even allowed me to use flash in the church which is literally unheard of. Once the ceremony was over we all headed back to Devonport house in Greenwich where I captured some fantastic formal pictures and the guests enjoyed the rest of the wedding with lots of partying. It really was a perfect day. If you like what you see and would like to hire me, please contact me to discuss your requirements. You can fill out the form on the contact me page and I will get back to you as soon as possible! Alternatively you can call me on 0203 0020 945 or 07977 20 40 44. I am a London Wedding Photographer and I would like to thank you for taking the time to read my blog for St Peter’s Italian Church Wedding Photographer London and I really hope you like the images. Old Marylebone Town Hall Wedding Photography London. The Old Marylebone Town Hall is fast becoming one of my favourite venues to photograph. It has so much style and history and the recent renovations have made it a very popular choice for newlyweds. I met Ksenia and Andrei shortly before the ceremony and I cannot tell you how happy they were... you could really see the excitement in their eyes. 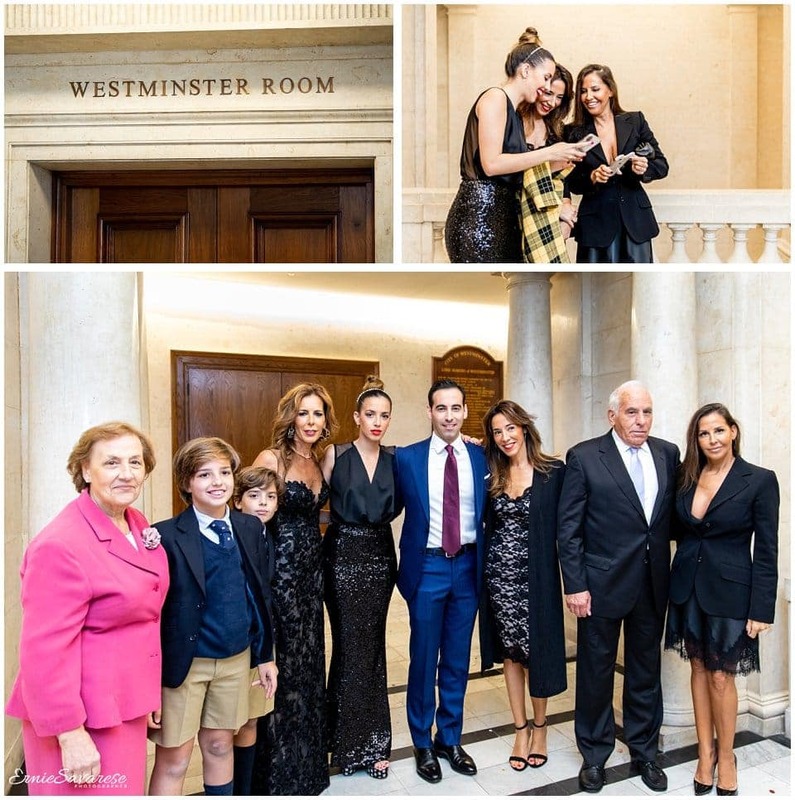 Their ceremony was being held in the SOHO room, which is another stunning room at the Old Marylebone Town Hall. After a short but beautiful ceremony, the newlyweds wanted to have some pictures taken in the Town Hall itself... which was no problem at all. Once we finished taking a few pictures, we made our way to the main front steps where all the guests were waiting to congratulate the happy couple and shower them with confetti!!!! After the ceremony Ksenia and Andrei had arranged a reception in a nearby pub called the The Marylebone for a few well deserved drinks where I left them all having a good time!!! If you like what you see and would like to hire me, please contact me to discuss your requirements. You can fill out the form on the contact me page and I will get back to you as soon as possible! Alternatively you can call me on 0203 0020 945 or 07977 20 40 44. 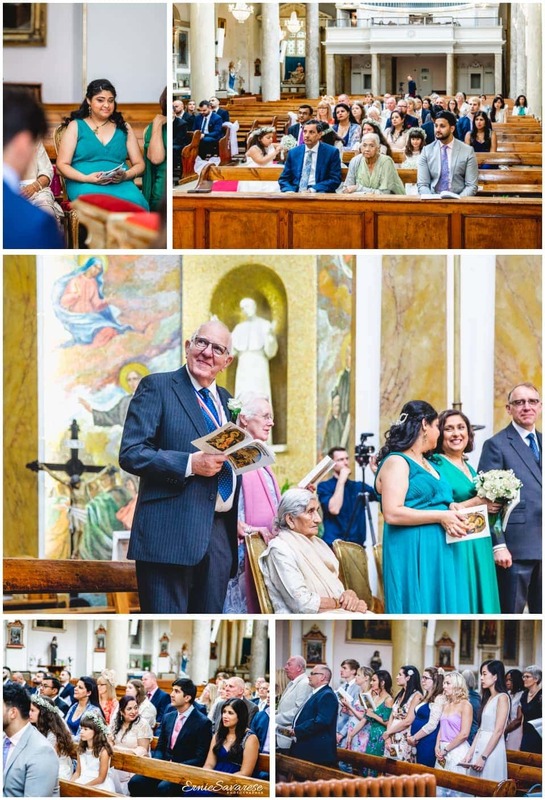 I am a London Wedding Photographer and I would like to thank you for taking the time to read my blog for Old Marylebone Town Hall Wedding Photography London and I really hope you like the images. 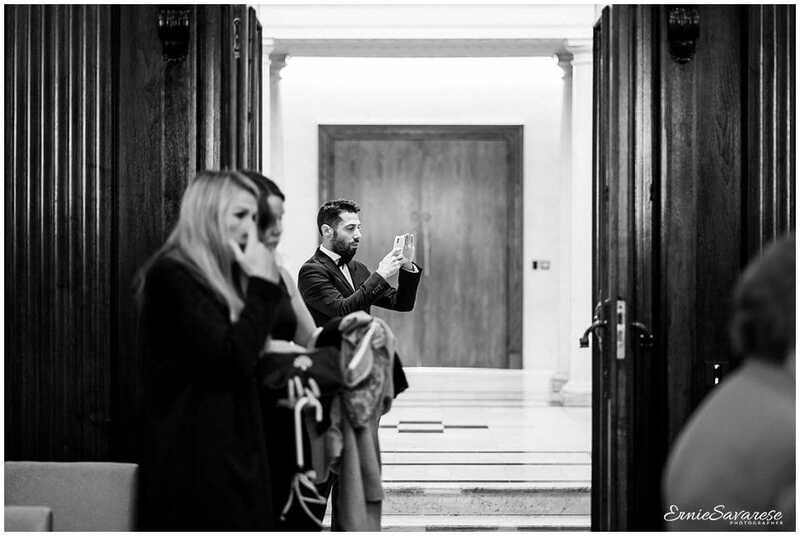 Old Marylebone Town Hall Wedding Photographer. This was my first wedding at the Old Marylebone Town Hall and I have to say just how utterly impressive and beautiful it is. I definitely see the attraction. 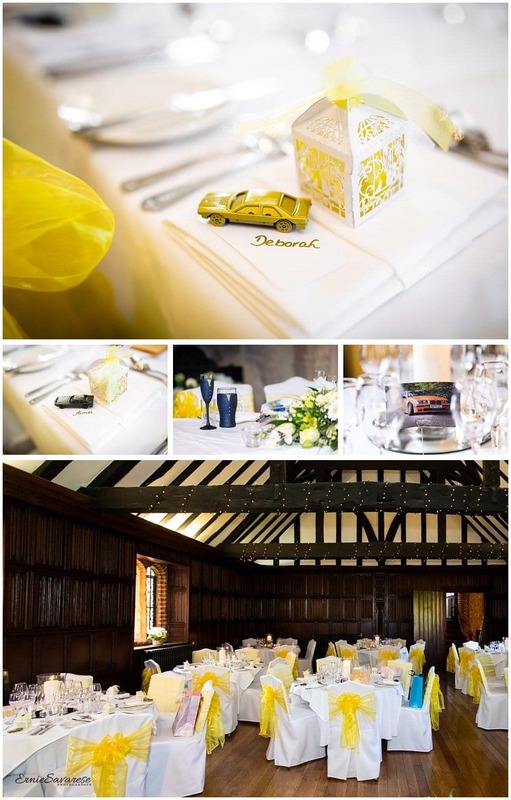 The architecture is stunning and the ceremony rooms are beautiful and stylish. I was recommended to Nina and Peter by Nina's mum who had remembered me from an event that I had photographed the year before. I am always very flattered when someone remembers me from a past event. On the day of Peter and Nina's wedding it was a beautiful day; one of the hottest of the summer. When I arrived in the Pimlico room the guests were seated and waiting for Nina to arrive. It was a lovely ceremony but the highlight for me was that Peter and Nina's daughter had written a speech for her mum and dad... it was really touching. After a few pictures at the front of the OMTH we all headed off to Scotts in Mayfair for a well deserved meal. If you like what you see and would like to hire me, please contact me to discuss your requirements. You can fill out the form on the contact me page and I will get back to you as soon as possible! Alternatively you can call me on 0203 0020 945 or 07977 20 40 44. 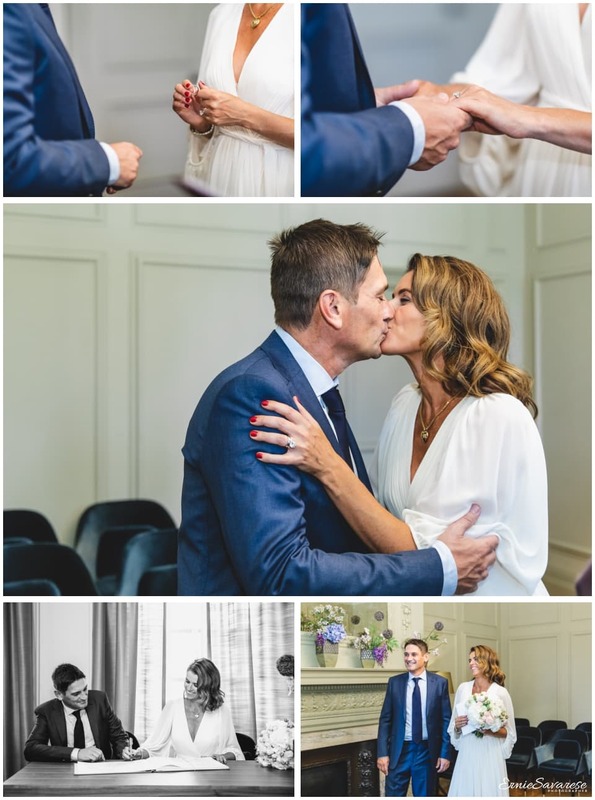 I am a London Wedding Photographer and I would like to thank you for taking the time to read my blog for Old Marylebone Town Hall Wedding Photographer and I really hope you like the images. 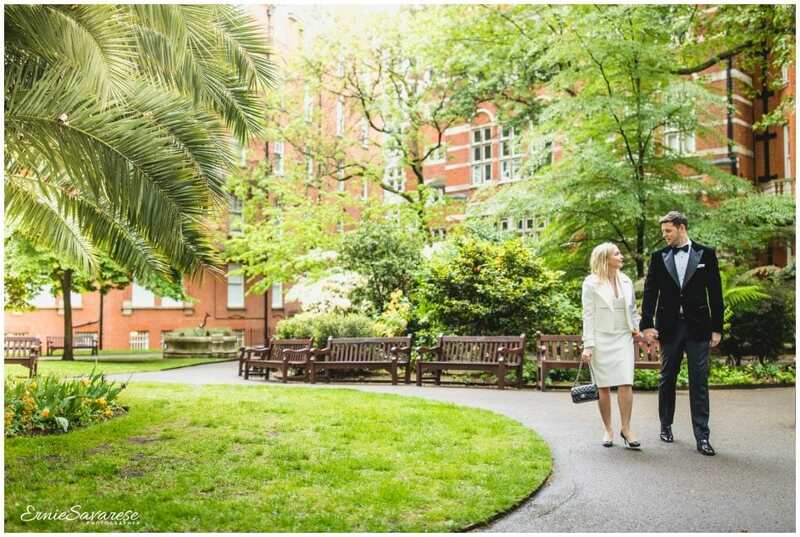 Registry Wedding Photographer Mayfair Library London. You may have heard me say before that no two weddings are the same but it really is so true. Take Amy and Sam for example; they don’t live in London, they don’t work in London however they wanted to get married in London… and why not??? It's such a busy city, full of life and culture. What better place to get married than in Mayfair!!! 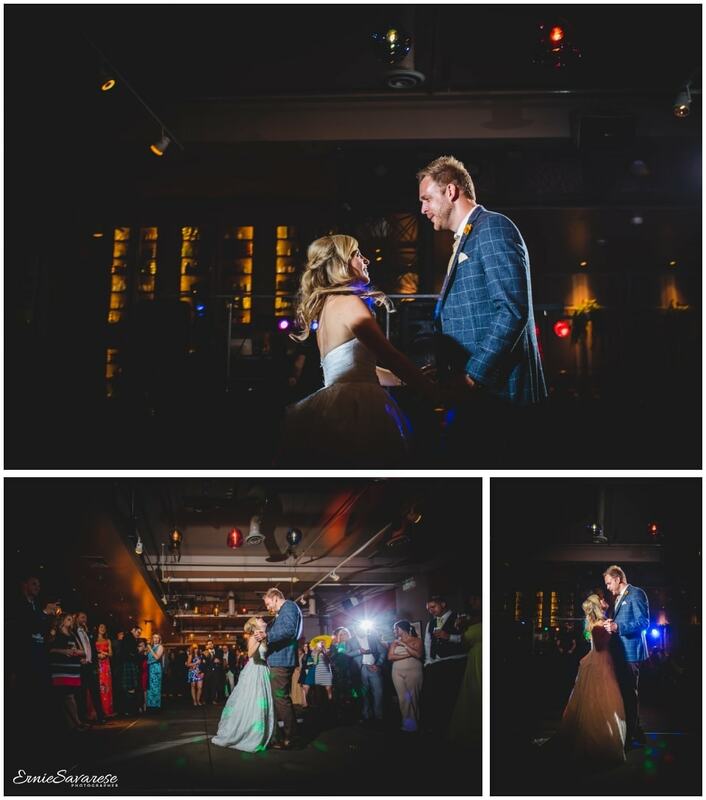 Sam and Amy live in Birmingham and had arranged to get married in London - at The Mayfair Library to be precise!! The Mayfair Library is such a beautiful and iconic place to get married. They were staying in London for a few days and had arranged for their family and close friends to join them on their special day. They had only booked me for 1 hour as they had made arrangements to visit a top restaurant so that they could continue their celebrations. Unfortunately for Sam and Amy the heavens decided to open during the ceremony but undaunted, they made a brave decision to take some pictures in the rain. This just goes to prove that you can still have a great wedding regardless of the great British weather!!! If you like what you see and would like to hire me, please contact me to discuss your requirements. You can fill out the form on the contact me page and I will get back to you as soon as possible! Alternatively you can call me on 0203 0020 945 or 07977 20 40 44. 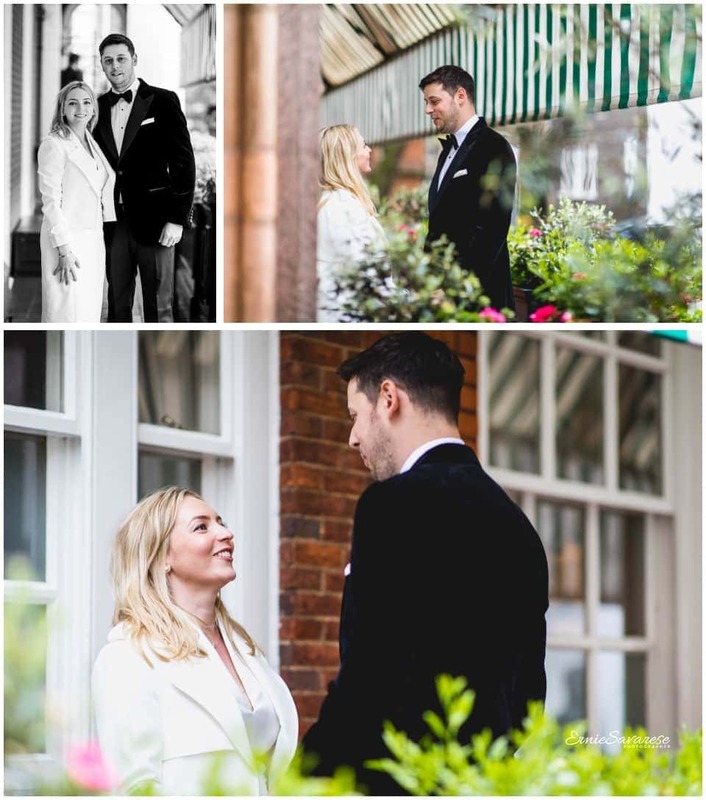 I am a London Wedding Photographer and I would like to thank you for taking the time to read my blog for Registry Wedding Photographer Mayfair Library London and I really hope you like the images. 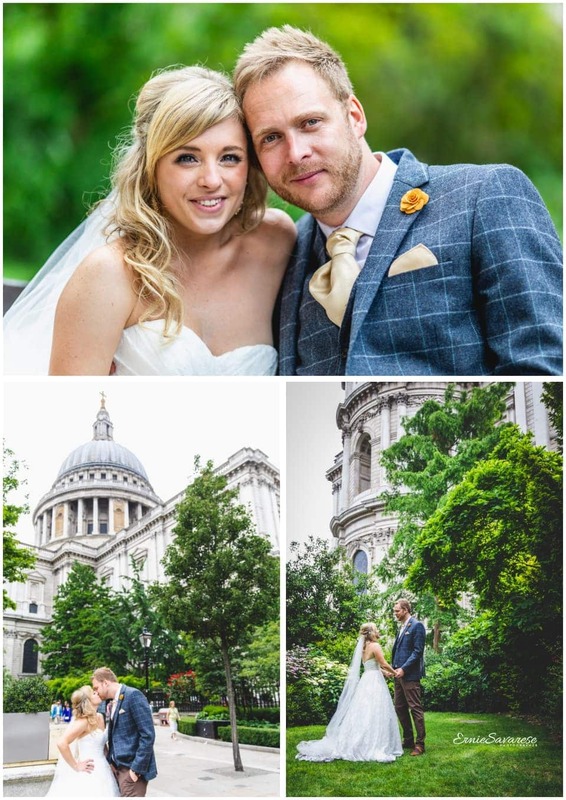 The Anthologist City of London Wedding Photographer. Have I ever mentioned that I love being a wedding photographer??? I love my job even more when I get to photograph a couple like Matt & Jen. I have never meet a couple that were so in love and so excited to get married. They wanted to do something completely different for their wedding… So that’s when #teammjwedding and #teammjadventures was born!!! 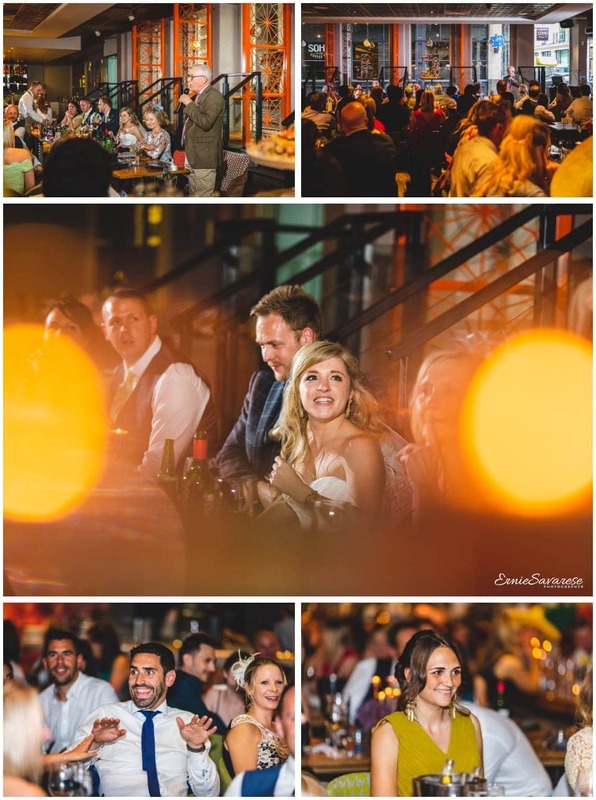 Everything about their wedding from the venue at The Anthologist to the party and everything in-between had their stamp all over it… I loved how they made everything really personal and showed what can be achieved if you put your mind to it. One of the things I loved about Matt and Jen was their relaxed approach to their wedding day and believing that come what may, they were going to have the most amazing wedding day which would be the start of the their lives together. All I can say is that I wish them the best of luck for the future and I look forward to following their adventures as they travel all around the world enjoying life to the max!!!... #goteammj!!! If you like what you see and would like to hire me, please contact me to discuss your requirements. You can fill out the form on the contact me page and I will get back to you as soon as possible! Alternatively you can call me on 0203 0020 945 or 07977 20 40 44. 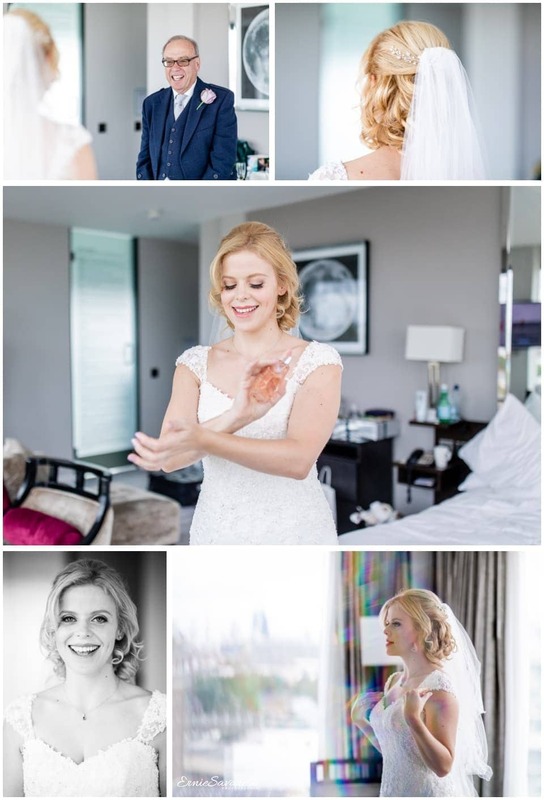 I am a London Wedding Photographer and I would like to thank you for taking the time to read my blog for The Anthologist City of London Wedding Photographer and I really hope you like the images.